Posted by Manny Mangibin on Friday, December 30th, 2016 at 1:01am. 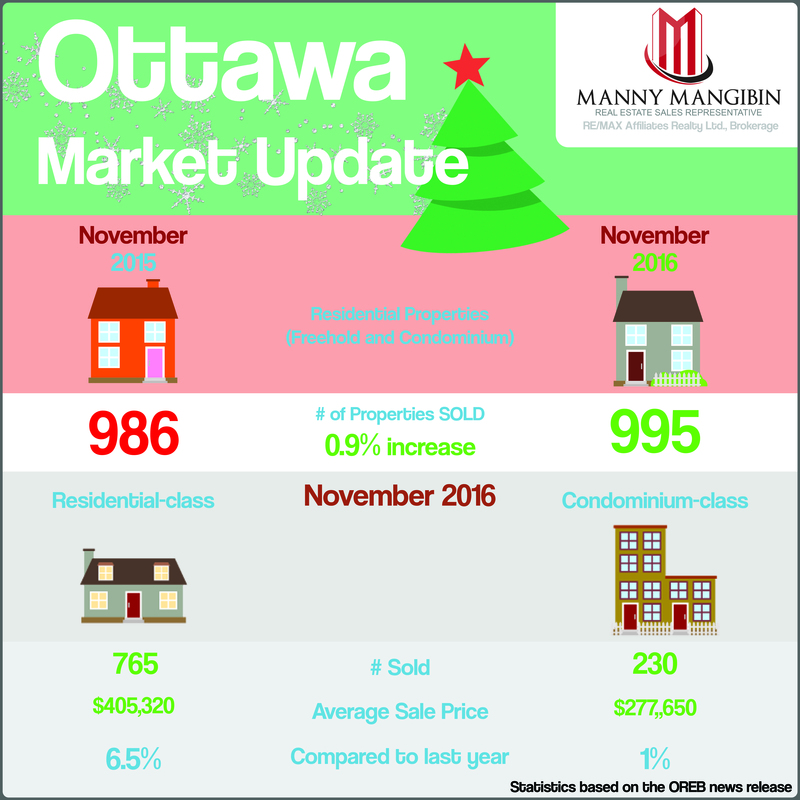 OTTAWA, December 6, 2016 - Members of the Ottawa Real Estate Board sold 995 residential properties in November through the Board’s Multiple Listing Service® System, compared with 986 in November 2015, an increase of 0.9 per cent. The five-year average for November sales is 939.